Sisters Helena and Harriet Scott were Sydney’s leading natural history illustrators in the later part of the 19th century. 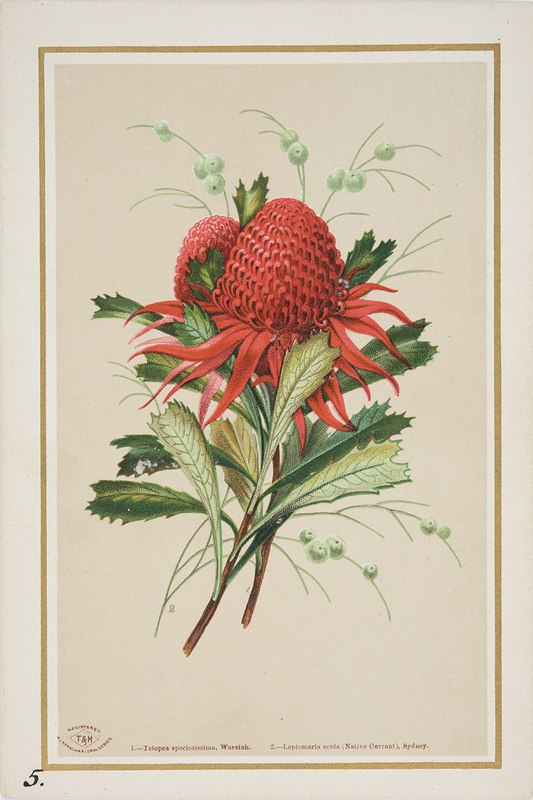 In 1880, they were employed by Sydney booksellers Turner and Henderson to produce the Australian Floral Cards series of Christmas and New Year cards depicting local wildflowers. They appear to be the first locally published, Australian-designed Christmas cards and were registered as works of fine art. The greetings were overprinted later. This set is without greetings.